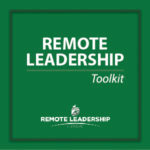 As a person who has worked remotely, leads a team who largely work remotely, and works with leaders of remote teams regularly, there is much advice I could share about how to be successful working remotely. That however, isn’t what this article is about. 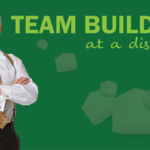 Read the title of this article again and you will see this about how to be successful as a team member when you work at a distance from those you work with. 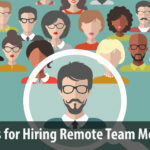 Working remotely promises plenty of advantages for the individual, but it doesn’t absolve them of being an effective member of the team too. Unfortunately, the separation from others can make the team aspects of work harder and the importance of teamwork less obvious. 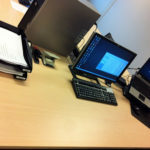 Just because you are physically separated from others as you work, doesn’t mean you work separately. Recognize that you are still a part of work processes that involve other people and that in one way or another, you are still a member of a team. If the specifics of this aren’t completely clear to you, talk to your supervisor and have a conversation about the expectations of your work. You will likely be very productive individually working from home, but that probably isn’t a complete picture of your success. 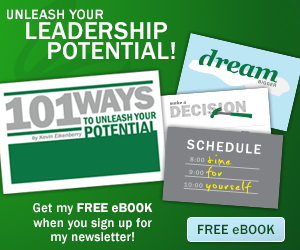 Make sure you understand your role and what the expectations are for you as a part of the larger work team. Since you are a part of a team, you will be more successful if you have solid working relationships with the others on your team. When people work near each other they see each other in hallways, cafeterias, and in conference rooms, making it much easier to have the small conversations that can lead to connections and a working relationship. When you work from home none of this happens automatically or serendipitously. This is one reason why when a new person joins our remote team, part of their onboarding process is to have a 30-minute call/web meeting with every other person on the team. The goal of this conversation is more than explaining the work, but it is explicitly defined as a chance to build initial relationships. One of the disadvantages of working from home is a feeling of isolation. If you intentionally work to build relationships and trust with those you work with, the isolation will be reduced, and the quality of work results will increase too. As anyone who has ever misinterpreted a text message can attest, technology, while convenient, doesn’t always facilitate successful conversation. 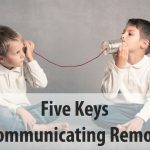 Email, instant messages and other technologies do allow those who work remotely to communicate quickly and easily with colleagues everywhere, but the lack of visual and verbal clues make miscommunication more common. 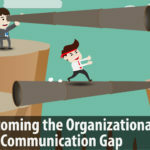 The miscommunication risks are then worsened by the lack of relationship and trust when working at a distance. This creates a damaging cocktail which can decrease trust even further, causing conflict, silos and a poor productivity. While I recommend picking up the phone or firing up the webcam more often to help in creating more effective communication, there is more than a communication habit at play here. When someone says or does something that doesn’t make sense to you, start with the assumption that their intention was honorable and helpful. Starting from this assumption of positive intent, will improve communication, relationships and trust. This assumption may not always be correct, but that starting point will allow you to have a more productive conversation, and will create less stress and conflict. While this doesn’t mean that the other person’s intent will always be positive, starting with that assumption gives you a chance to improve the outcomes, even if that assumption is later proven to be incorrect. Interestingly while these ideas apply to those who work away from the office, they apply to everyone else too. When everyone puts these three ideas into action, teams will be more effective regardless of where individual team members do their work each day. 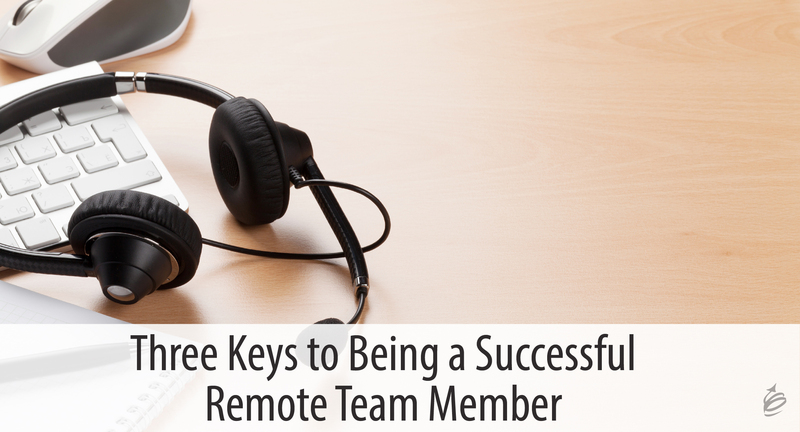 And if you’re looking to increase your productivity as a remote team member (always a good thing!) 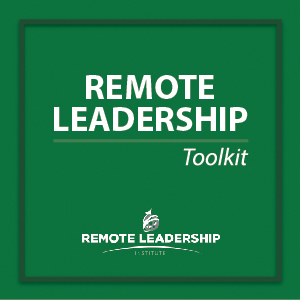 I encourage you to take a look at this on demand course we offer at The Remote Leadership Institute.